I found this fried bread stand at Sinchon while walking around Sinchon area from Hongdae. It's a street food stall close to Sinchon station, close to a small Lottemart. 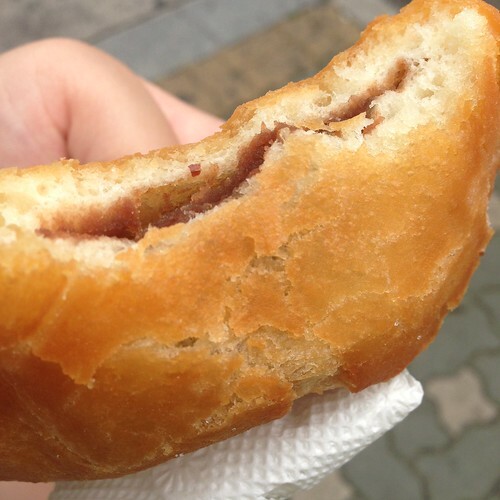 I got two kinds of fried bread, the sweet red bean filling and the vegetable filling. I prefer the veggie one. It was so good, because the veggie one has bread crumbs on the outside so it's crispy but the dough is chewy and soft. It costed me ₩700 for the veggie one and ₩800 for the sweet red bean. 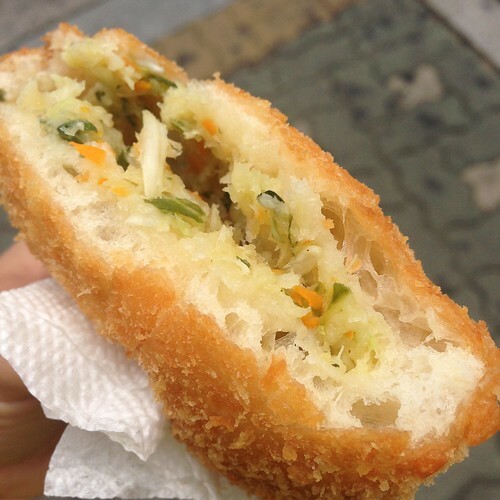 This fried bread was not as chewy as Hoddeok, but softer and lighter.